There are over 400 movies at TIFF, including documentaries and short films. My penchant for things African led me to see The Ivory Game, a recently-completed Netflix-produced film about the rapid decimation of the African elephant population that, sadly, is threatening extinction of this largest of land animals. The figures are startling. 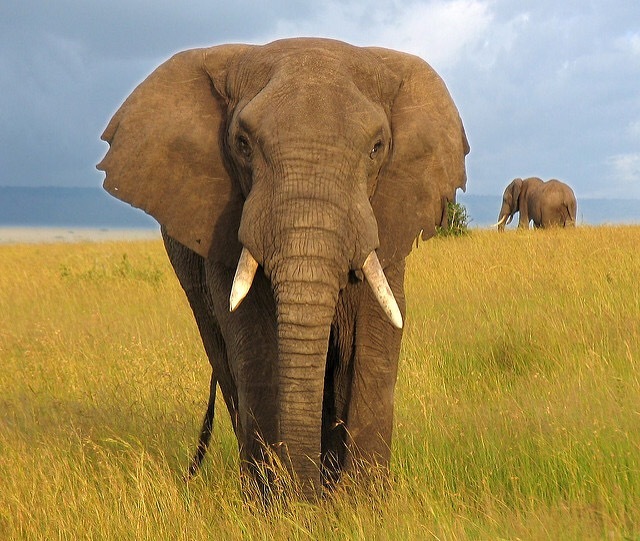 The number of elephants in East Africa declined by 30% or about 150,000 elephants, from 2007 to 2014 and continues at a rate of about 8% per year. Part of this stems from human-wildlife conflict as human development encroaches on previously protected areas. Elephants know no boundaries and may destroy gardens and local agriculture so people living in villages near these animals turn to killing the animals to protect their crops. But the bigger problem is poaching of the animals for their tusks. It seems that the main trade in elephant tusks is through China where ivory trinkets or carvings are seen as valued pieces of art. And poachers, gang leaders and corrupt officials can make a lot of money selling illegal ivory. They are even banking on the approaching extinction of the elephant, a boon to their profit as ivory becomes increasingly scarce. In addition to educating about this crisis, the film turns into a real-life spy thriller as it follows undercover agents as they try to gather information to help capture and convict the poachers, including one of the kingpins aptly nicknamed Shetani – “the devil”. It appears that the only way for elephants to survive is for governments around the world to make sale of ivory totally illegal. Until that happens the poaching will continue and the number of African elephants living in the wild become dangerously threatened. You can read more about this at www.theivorygame.com and the Great Elephant Census. I give this documentary 4 stars of 5. It was the only movie that I saw this year at TIFF that actually moved me to tears. It will be on Netflix later this season. 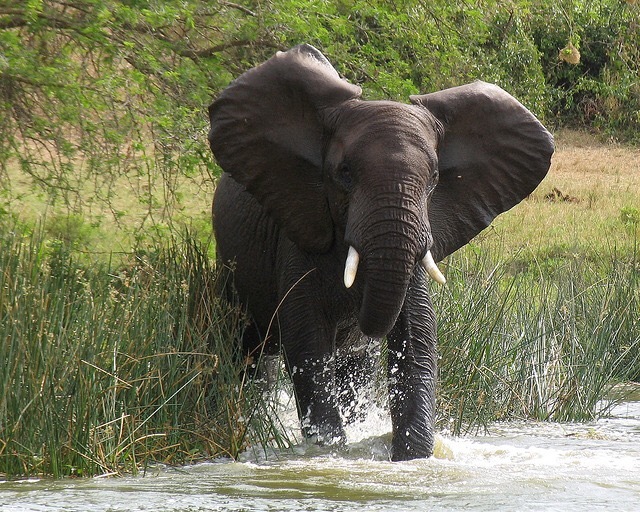 I have peppered this page with a few of photos of elephants that I have been fortunate to see over the years in East Africa. How many of these magnificent animals have survived the poacher, I wonder? I took the above photo on my way to the airstrip in the Maasai Mara. I was worried that having to stop as this herd of elephants meandered across the road would make me miss my plane back to Nairobi. But even the small local airlines are on “Africa time” and the plane was an hour off schedule. Meanwhile I got to sit in a jeep and watch this extended elephant family enjoying their day. And when I got to the air strip, the small plane was oversold by one – so I got to sit in the cockpit with the pilot. A commanding view of the Maasai Mara and this memorable sight of another large herd of elephants crossing the Savannah. This entry was posted in Uncategorized and tagged census, East Africa, elephants, extinction, ivory, Kenya, poaching, The Ivory Game, TIFF, Toronto Film Festival by johnageddes. Bookmark the permalink.